WARSAW — A Warsaw man is facing charges after allegedly using the identity of a Texas resident in order to obtain employment and an Indiana driver’s license. Cristoval Guana Almaguer, 38, 1692 E. 200N. Lot 61, Warsaw, is being charged with identity deception, a class C felony; identity deception, a level 6 felony; and forgery, a class C felony. According to the affidavit of probable cause, on Feb. 21, a male contacted the Indiana State Police and informed them that he had recently applied for a job at a prison facility. When the prison facility performed a background check on the man, they discovered that he had been arrested in Kosciusko County for disorderly conduct on two occasions. The male insisted he had never been arrested in Kosciusko County and stated that the person who was arrested on those charges was using his name and identifying information without his consent. On Feb. 21, an officer with the Indiana State Police Department discovered that the unknown person, later identified as Almaguer, had been arrested March 20, 2014. It was determined that Almaguer was employed at Maple Leaf Farms, Inc. The officer obtained employment records in the victim’s name from Maple Leaf Farms. It was discovered that on March 10, 2008, Almaguer filled out the name and identifying information of the victim on the job application, state and federal tax withholding forms and other employment documents. The officer learned that Almaguer was still employed at Maple Leaf Farms. 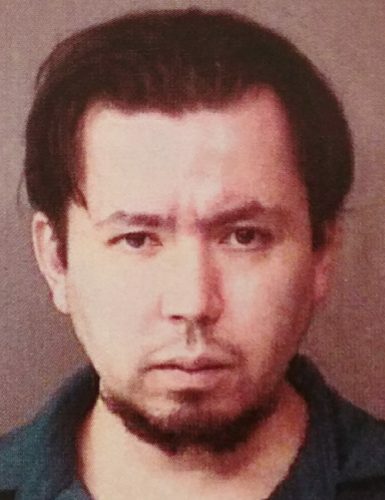 The officer then obtained the Indiana driver’s license information and discovered that Almaguer had obtained an Indiana driver’s license using the name and identifying information of the victim. Almaguer currently has a driver’s license under that name. Almaguer was booked at the Kosciusko County Jail Friday, March 15, on a $10,250 bond.